Infrastructure forms on the largest components of making any economy robust and putting it on fast track growth. This is the reason why governments around the world are always involved in developing and building their infrastructure continuously. Rail transport forms an integral part of overall infrastructural development that carries man and material with speed at an extremely cheaper cost. Governments around the world have been developing their rail and road systems with special emphasis to their rail projects like metro railways, super fast trains, bullets trains etc. Each day some rail project is awarded by governments around the world to enhance public transport system in their country. Chicago Transit Authority in the US is in the process of replacing their ageing metro trains. It intends to replace its 846 rail cars as a part of its rail fleet modernization plan. New Orleans has planned to open a new street-line car. Tunisian government has awarded rail projects t to build the first two lines (D and E) on the RFR high-speed railway network in Tunis, Tunisia, Africa. Government has awarded contract to to design and construct Gosford Passing Loops Project a part of Northern Sydney freight corridor. A new Moreton Bay Rail Link project has been proposed in Queensland in Australia. Great Western Rail between South Wales and London, etc. The second phase of the £32bn HS2 high-speed rail network which will run northwards from Birmingham. The Armenian Ministry of Transport and Communication, Dubai-based Investment CompanyRasia and Russian Railways (RZD) subsidiary South Caucasus Railway (SCR) have signed a trilateral agreement for the construction of the Southern Armenia Railway. Canadian National Railway Company has revealed its plans to invest $1.9 billion to maintain and upgrade its rail network in 2013. GCC region has revealed its massive plans to build one of its kind rail transport systems that will join Gulf via Jordan and Turkey to Europe by 2019. With such large projects cropping up each day around the world, there is a growing manpower requirement for skilled labour as well as at the managerial levels to manage rail projects. Rail projects around the world require Civil, Mechanical, Electrical, Fabrication and Railway personnel in rail project companies worldwide. Why India for Skilled Manpower for Railway? India has a large resource of manpower in the country however finding the right kind of skilled manpower is often an ordeal. The manpower is largely unskilled and apt candidate often goes unnoticed. IMR has long standing experience in providing skilled labour for rail projects. It also provides training and specialist industrial manpower to rail services. It vast database also holds details of fully qualified and accredited rail personnel to meet your specific needs. 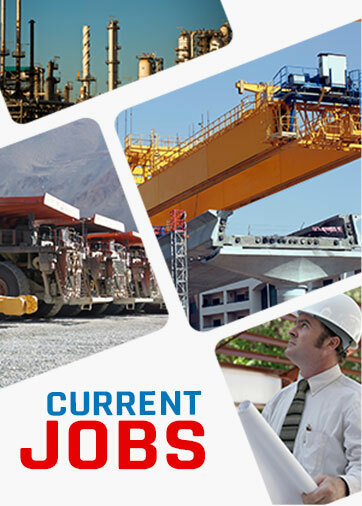 Its fast and controlled manpower staffing services is proficient in providing experienced manpower for rail projects. You’re welcome to reach us via email at client@imr.in to know how we can be your one stop railway projects recruitment agency in India.